The Income Report contains a timeframe (defaults to the start of this current calendar year until the end of this current calendar year), the orders that were not excluded in this time period, and the totals for the orders in this time period. This report is intended to allow you to summarize your sales activity for tax purposes, performance of your business, and to identify orders in a certain timeframe. Click on the Start Date and End Date selectors to pick the time range that you'd like the report to filter within. Note that the rows in section 2 and the totals in section 3 will update accordingly. This section contains the totals for all orders in this timeframe. 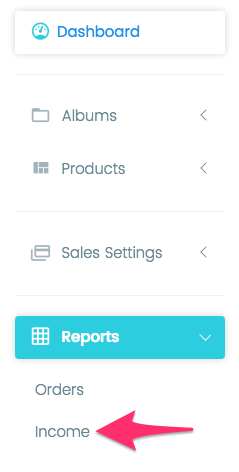 If you have more orders than show up on the page, the report will still show totals for the timeframe. 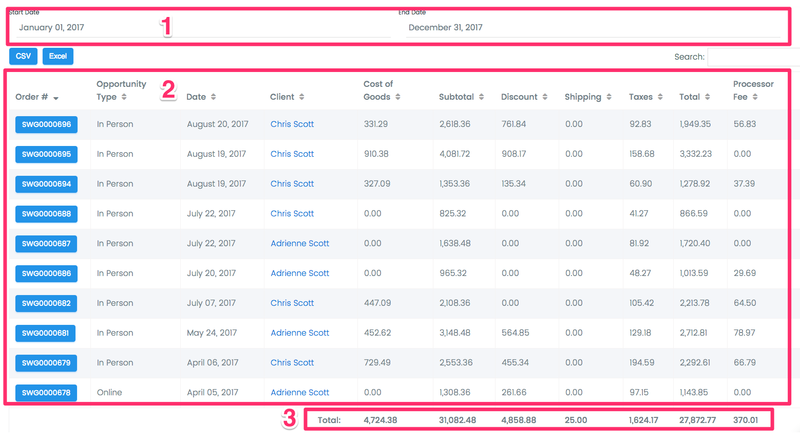 For instance, if you only show 10 orders per page but have 25 orders in the timeframe, the totals section will reflect the total of all 25 and not the visible 10 on the current page. You can change pages to see more orders if you have more orders than will fit on the current page.